Known as the father of Kerala Renaissance. He was born on 20 August 1856 in the village of Chempazhanthy near Thiruvananthapuram. Parents: Madan Asaan and Kuttiyamma. Name of his house: Vayalvaaram Veedu. His childhood name was Narayanan. He was educated in part by Moottha Pillai Asan and later for six years by Kummanpallil Raman Pillai Asan of Mavelikara. Guru learned Hadayoga Vidya from Thycadu Ayya, who is known as Guru’s Guru. He attained enlightenment in Pillathadam Cave on Maruthwamala in Kanyakumari, Tamilnadu. The historical Aruvippuram prahishta was done by Guru in 1888 and it was the first temple consecrated by Sree Narayana Guru. ‘Aruvippuram’ is a small village near the river ‘Neyyar’ in Thiruvananthapuram. He said after the consecration “I installed only an Ezhava Siva”. The Mirror as idol are at : Kalavancode, Ullala, Vechoor, Karamukk and Murukkumpuzha. In 1927 he consecrated first mirror at Kalavancode temple with the message “Om Shanthi” written in the surface of the mirror. Guru consecrated a nilavilakku as idol in Vilakkambalam in Karamukku, Trissur in 1920. In 1904 declaration has been made by Travancore Government exempting Sree Narayanaguru form attending all courts. Guru established Shivagiri Mutt in 1904. In 1908 he consecrated Jagannath temple at Thalassery. In 1910 he consecrated temples in Kozhikkode and Manglore. In 1912 the temple of Sarada consecrated by him at Sivagiri dedicated to the lords Saraswathy, the deity of learning. He established Adwaitha Ashramam on the banks of river Periyar at Aluva in 1913. Om sahodaryam sarvatram is the motto of this Ahramam. Guru founded Sanskrit school at Aluva in 1916. In 1924 Guru conducted all religious conference at the Advaitha Ashramam in Aluva. Sree Narayana Guru met Chattambi Swamikal in 1882 at Anniyoor Temple, Thiruvananthapuram. Met Kumaranasan in 1891 at Kayikkara. Met Dr. Palpu in 1895 at Banglore. Met Ayyankali in 1912 at Balaramapuram. Met Ramanamaharshi in1916 at Thiruvannamalai. Met Tagore on 22 November 1922. Met Gandiji on 12 March 1925 at Sivagiri. G. Sankarakkurup called Guru as Second Buddha. In 1927 first statue of Sree Narayanaguru was unveiled at Thalasseri. He passed away on 20 September1928 at Sivagiri (Kunninpuram). The famous Sivagiri festival conducted on 30 December to 1 January was started from the village of Elavumthitta in Pathanamthitta. The pilgrim festival was first conducted by Vallabhasseri Govindan Vaidyar and T.K. Kittan. Guru was the first Malayali to appear in the Indian Postal Stamp(1967). He was also the first Keralite to appear in the Srilankan Postal Stamp. In 2006, to commemorate the 150th birth anniversary of Guru RBI issued 5 rupee coin. International centre for Sree Narayana Guru situated at Nvimumbai, Maharashtra. Aruvippuram temple society known as Vavoottuyogam was formed in 1898. It is known as the predecessor of S.N.D.P. Sree Narayana Dharma Paripalana Yogam was founded on 15 May 1903. The permanent chairman and the first president of S.N.D.P. 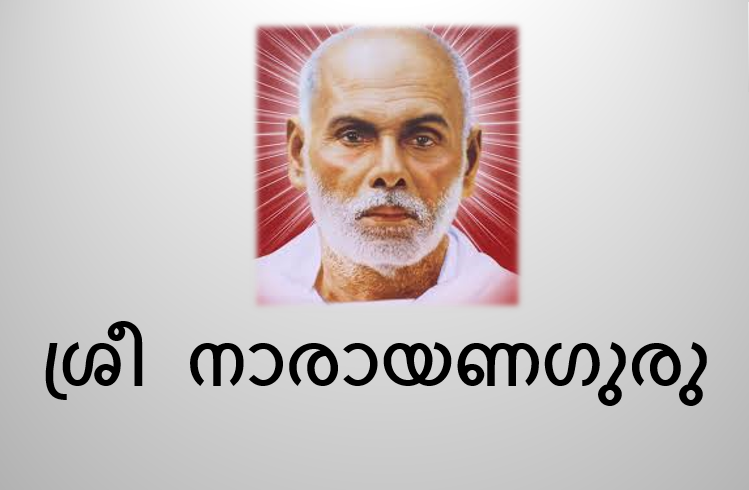 was Sree Narayana Guru. Dr. Palpu was the first vice president and Kumaranasan was the first general secretary. A news paper named Vivekodayam edited by Kumaranasan was the mouthpiece of the Yogam. But now it is replaced by Yoganadam. · Not ask, not say and not think about caste. 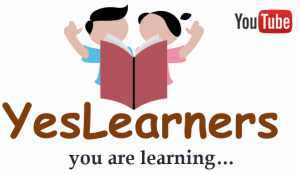 The novel Guru was written by K. Surendran and the novel Narayanneyam was written by Perumbadavam Sreedharan. The book Narayanaguruswami was written by Prof. M. K. Sanu. Kilimanoor Kesavan wrote Gurudevakarnamritham and T. Bhaskaran wrote Maharshi Sree Narayana Guru. The film Yugapurushan is based on the life of Sree Narayana Guru and it eas directed by M. Sukumaran. Thalaivasal Vijay played the role of Guru in it.